Care of the polytrauma patient with severe traumatic brain injury (TBI) requires the clinician to navigate among sometimes conflicting priorities, concerns, and objectives—toward a goal of optimizing outcomes and minimizing potential harms. 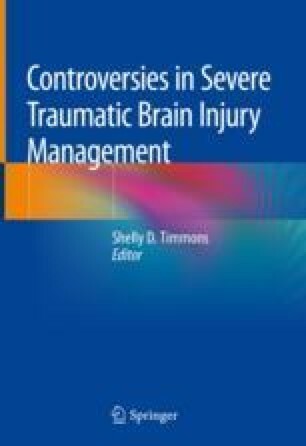 For all polytrauma patients, the initial triage and resuscitation effort should be focused and efficient, with an emphasis on attending to the “ABCs.” For the patient with comorbid severe TBI, this phase of care must superimpose considerations relevant to the treatment of primary brain injury and mitigation of secondary insults. Coordination of the timing of interventions for injuries extrinsic to the intracranial compartment requires effective communication among care providers and an ongoing assessment of relative risks and benefits for a given intervention for the individual patient. In the absence of hemodynamic instability, central nervous system pathology may take precedence. However, if the patient is hemodynamically unstable, aggressive resuscitation and perhaps, emergent, damage control intervention on the part of the trauma team may be indicated. Associated craniofacial injuries typically are not life-threatening and do not require emergent intervention for repair. CSF fistulae often develop in a delayed fashion and may necessitate multidisciplinary intervention for definitive repair if the patient fails more conservative measures. Orthopedic injuries commonly occur in concert with TBI. While early definitive care is optimal, there is a role for initial damage control and subsequent staged definitive intervention if the severity of the head injury precludes safe operation in the acute setting.